In 2018, following overwhelming feedback, we brought back The Superyacht Design Forum (formerly SuperyachtDESIGN Week) to London, with a new two-day format and a new name. This year, the event will be hosted on the 25 & 26 June 2019 with our co-host Design Centre, Chelsea Harbour. 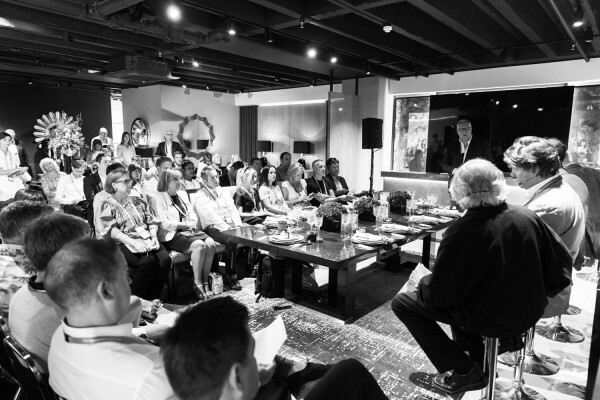 With their diverse mix of cool and luxurious showrooms, coupled with some new interactive spaces, we will deliver an event that inspires, informs, and ultimately encourages innovation and next-generation thinking. The Superyacht Design Forum 2019 sits in the calendar between the summer season magnets of Royal Ascot and Wimbledon Tennis Championships and adjacent with Masterpiece 2019, one of the world’s most exclusive Art and Antiques events, each one attracting UHNWI clients from around the world. This combination ensures The Superyacht Design Forum at Design Centre, Chelsea Harbour is an interactive addition to the early summer superyacht calendar. The Superyacht Design Forum provides anyone in the superyacht design world with a unique opportunity to explore new thinking, share smarter solutions, create ideas that are fresh and inspiring and generate energy that will drive the future of superyachts. The event seeks to better understand the way our future customers’ experience, enjoy and explore their lifestyles on the ocean. This is not a Forum full of long talks and listening, but a completely immersive experience, with interactive concepts, wacky workshops, fish bowl chats, firesides, round tables, drink tanks and tea talks, all designed to encourage everyone attending to share their ideas, opinions and solutions to creating a next-generation superyacht. It will fun, different and entertaining! The one event in the year dedicated to superyacht designers that cannot be missed.